A scant three months after its launch, the $50 million ConsenSys Ventures fund that was created to back companies developing applications on Ethereum (by Ethereum co-founder Joe Lubin’s ConsenSys Systems) has made its first four investments. 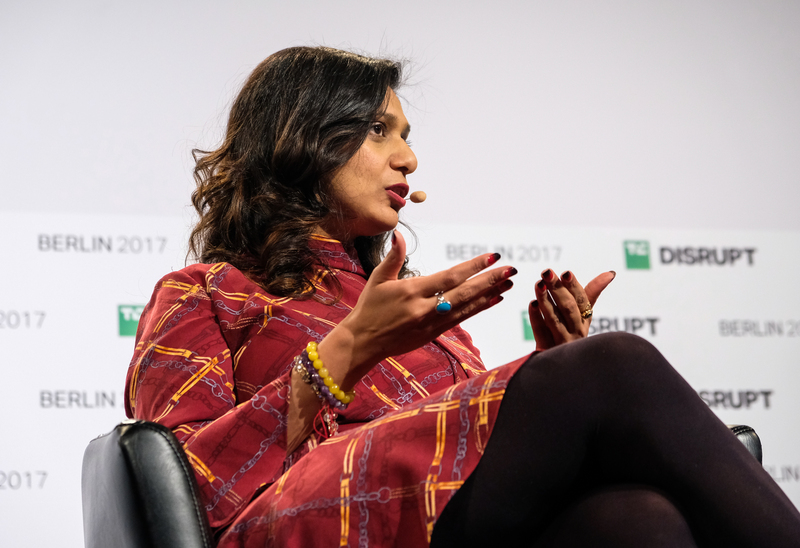 Created as another way to boost Ethereum adoption and back companies to get them traction in the market, the Ethereum Ventures fund hired Kavita Gupta — a rising star in the technology firmament to run its investment vehicle. Gupta’s first commitments from the fund run the gamut — from a blockchain-based sweepstakes company to a blockchain-based esports betting service, a lending platform to provide liquidity for cryptocurrency investors and a security project to protect crypto-applications. The fund does pre-seed, seed and token launches, according to Gupta, who would not disclose the size of the investments the firm is making. But the companies the fund is backing come from some relatively seasoned entrepreneurs. BlockFi, the firm’s lending for liquidity startup, was founded by Zac Prince — a serial startup founder whose previous idea was the lending platform for the underbanked, Cognical. Even more impressive is the esports betting company’s executive team, helmed by former Microsoft Bing Ventures investor Rahul Sood. Unikrn had already garnered a lot of attention from bitcoin bulls like MarK Cuban and raised $25 million in its September token sale. That figure actually puts Unikrn on the high end for what investors these days will now stomach, says Gupta. “There are very few ICOs or token launches that are basically going oversubscribed to those numbers,” she said referring to the heady days of over $100 million coin offerings (mind you, that was a few months ago). The market is moving to them to a $20 million raise or a $10 million raise or a $5 million raise, Gupta said, as investors become more rational. And that’s forcing entrepreneurs to temper their own expectations. “Entrepreneurs understand that the market is way more intelligent and the FOMO is going down,” Gupta tells me. What’s critical right now, Gupta says, is that businesses that want to leverage the blockchain think deeply about their product or service and whether pursuing a token sale even makes sense. In many cases, it may not, she said. For Unikrn and another new investment in the stable, the sweepstakes provider Pryze, the answer of whether to token or not to token was a definite yes. But BlockFi had no need to issue tokens and took a straight equity investment. The company’s other investment, in the security space, also raised a token. ConsenSys Ventures intends to be investing in companies outside of the ConsenSys stable, given the maturity of the company. Gupta said that ConsenSys wants to be a long-term partner, but defines that as a six-month time frame for its holding period. Compared to venture funds, that doesn’t seem like an incredibly long time. For now the fund is a completely Ethereum-focused fund. But it could make investments on another blockchain platform if it had scale.